Copper earrings embossed with a southwest style pattern. The rectangle pieces are 2 inches long by 1/2 inch wide. The earwires are handformed from 20 gauge sterling silver wire, with the ends carefully filed for comfort. These have been lightly oxidized. 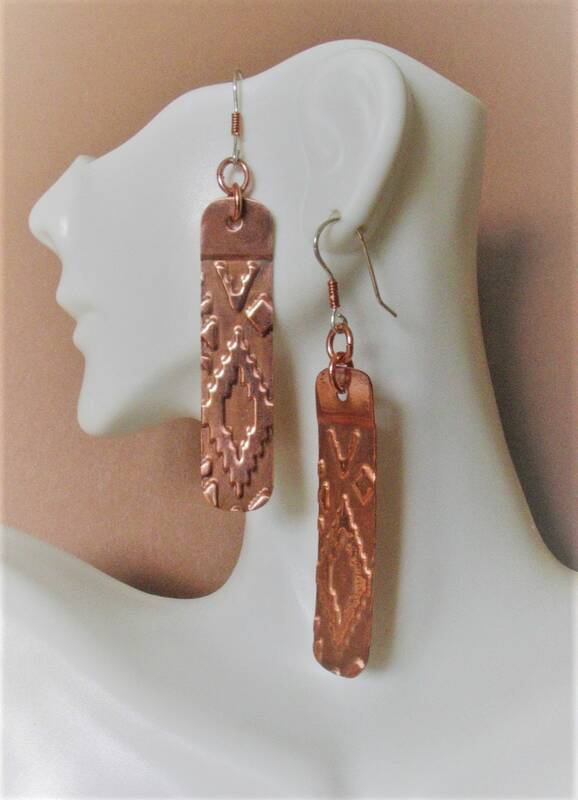 The length from the top of the earwire to the bottom of the copper rectangle is 3 inches.